THE GREATEST MIND IN THE UNIVERSE! Before Masaki Tenchi was born, before Ryoko was released—there was an enigmatic genius who traveled through space and time. Based on the hit Tenchi Muyo! 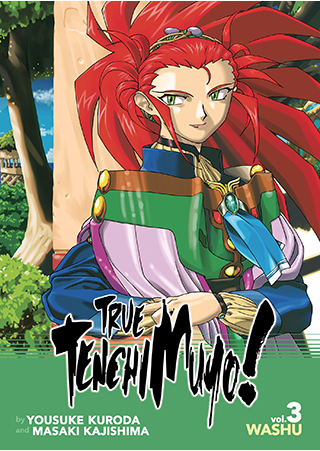 Ryo-Ohki OVA series, this trilogy of canonical light novels explores the lore that shapes the past, present, and future of the sprawling Tenchi Muyo! universe. In this third and final novel, we discover the mysterious origins of Washu, the scientist who would go on to establish Galaxy Academy and create Ryoko!